Author’s Note: This review will only have minor spoilers pertaining to a previous anime in the series. There are no major spoilers about the film’s plot. Ever since the Sword Art Online anime premiered in 2012, I have been a big fan. I enjoyed the premise of the series, the action, music and character designs. Once I learned the series would be getting an anime film adaptation, I knew I had to go and watch it. The film premiered in multiple theaters across the US on March 9 and I had the chance to go and watch it. 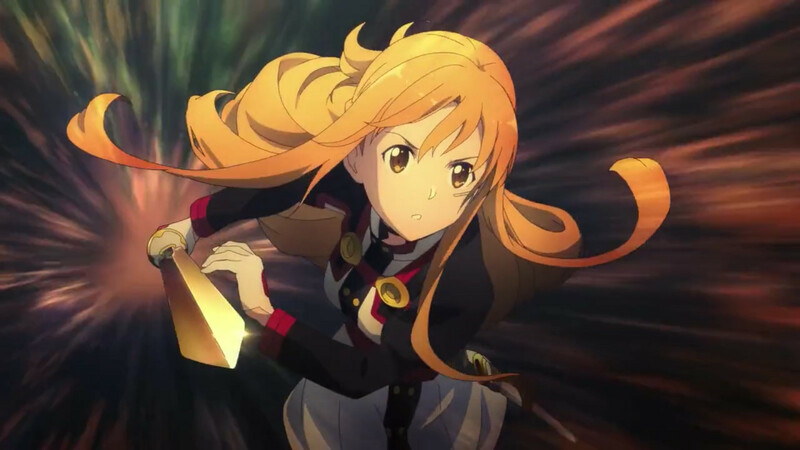 The first story of the anime series focuses on a death game known as Sword Art Online. The game is the first full dive VRMMO (virtual reality massively multiplayer online) game of its kind. The game’s creator, Akihiko Kayaba, traps the 10,000 players inside the game and informs them that if they die in the game, they will die in real life. In order to escape the world of SAO, the players would have to clear all 100 floors of the game. Kirito (Kazuto Kirigaya) is the hero of this story and the Aincrad arc follows his adventures as he tries to clear the game and survive in that world. Along the way, he meets and befriends other players such as: Asuna (the Vice Commander of the Knights of the Blood Oath and his girlfriend), Klein (guild leader of Fuurinkazan), Silica (a beast tamer), Lisbeth (a blacksmith) and Agil (a shop owner and member of the Assault Team). 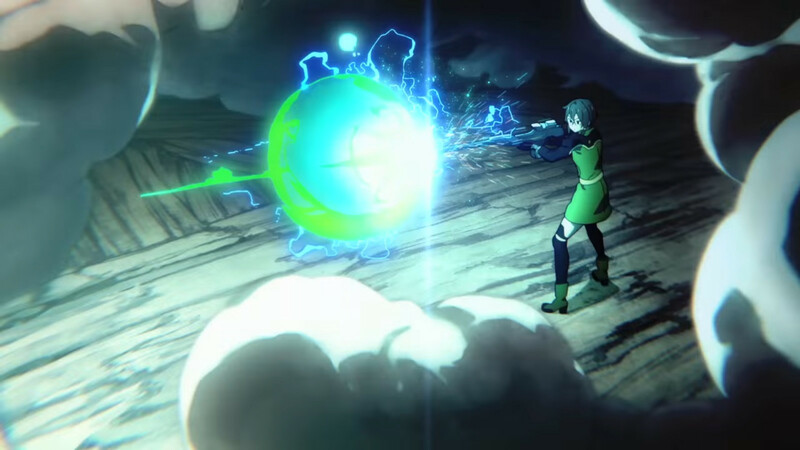 After defeating the Floor 75 boss, Kirito duels the game’s creator, Akihiko Kayaba. Kirito prevails and kills Kayaba and as a result, clears the game and frees the remaining 6,147 players still alive. Sword Art Online The Movie: Ordinal Scale takes place 2 years after the events of the Aincrad arc. The film starts off 2 years ago, when Kirito and Asuna were still in Aincrad. During this scene, Kirito promises to see shooting stars with Asuna and to give her a ring in the real world. Fast forward 2 years, A new device known as the Augma is gaining popularity in Japan. The Augma is an Augmented Reality (AR) information terminal and unlike the Amusphere, does not use full dive technology. Ordinal Scale, an exclusive game for the Augma, is gaining a lot of popularity. 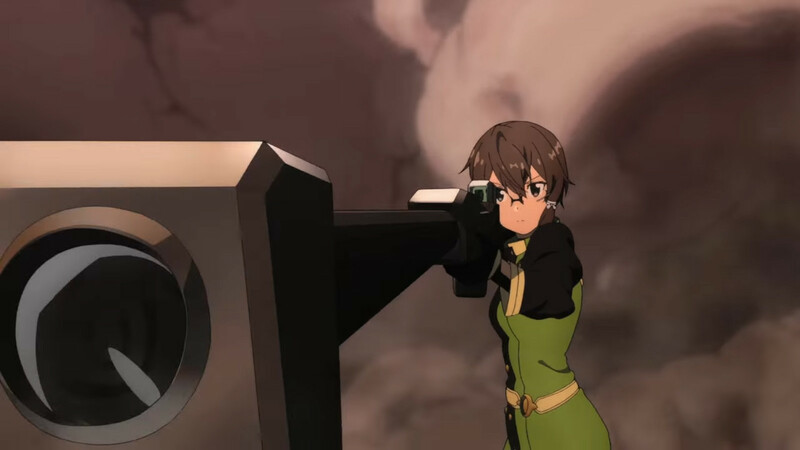 It’s so popular, there is around a 30% decrease in players for VR games such as Gun Gale Online (GGO) and Alfheim Online (ALO). The game is an Augmented Reality MMORPG and players use their actual bodies when playing the game. The game also uses a Ranking System and players can raise their rank by finding items and defeating monsters. Each player’s rank in the game is indicated by an ordinal number instead of a cardinal number. As players play the game, they can gather up points that can be used for rewards such as concert tickets or a free coupon for a large beef bowl. The higher the player’s rank, the stronger the player is and the better the rewards are. A short while before the events of the movie, a book titled “The SAO Incident” was published. The book details the events that happen in the death game and the important players who helped cleared it. This means players who weren’t prominent fighters were not mentioned in the book at all and this includes players who died during the course of the game. This plays a pretty big role in the plot of the movie. Sword Art Online The Movie: Ordinal Scale introduces three new characters to the series: Eiji (the number 2 player in Ordinal Scale), Dr. Shigemura (the developer of Augma) and Yuna (an AI idol). 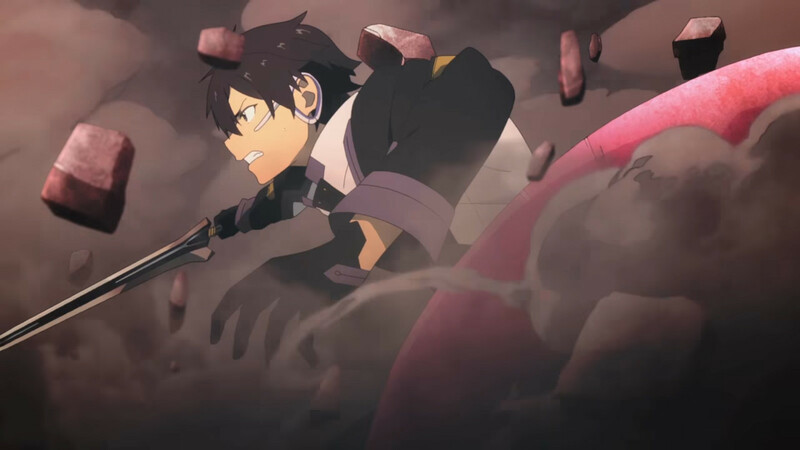 Eiji and Dr. Shigemura’s motivations throughout the film are tied heavily to events that happened in Aincrad, the floating castle of Sword Art Online. For some reason, floor bosses from SAO are appearing in Ordinal Scale. Many survivors from SAO are playing Ordinal Scale. However, when a survivor loses to one of these bosses, they are hit by severe side effects. Survivors affected by this include characters such as Klein and Asuna. Kirito must work to help cure Asuna of this illness and find out what Dr. Shigemura and Eiji are plotting, and stop them. The writing for this story is much better than all the previous arcs from the anime series. You can tell how much Reki Kawahara has matured as a writer from the Aincrad arc all the way up to this film. I could really sympathize with the “villains” of this film and understood well the motivations for what they did. The film emphasizes the importance of every player who lived in the world of Aincrad, from the fighters on the Assault Team all the way to the relatively unknown ones. Every player in that world mattered and were important in their own way, whether it be by owning a shop or playing music to lift people’s spirits. This film emphasized feelings of regret and longing, key factors in the plot of the film. 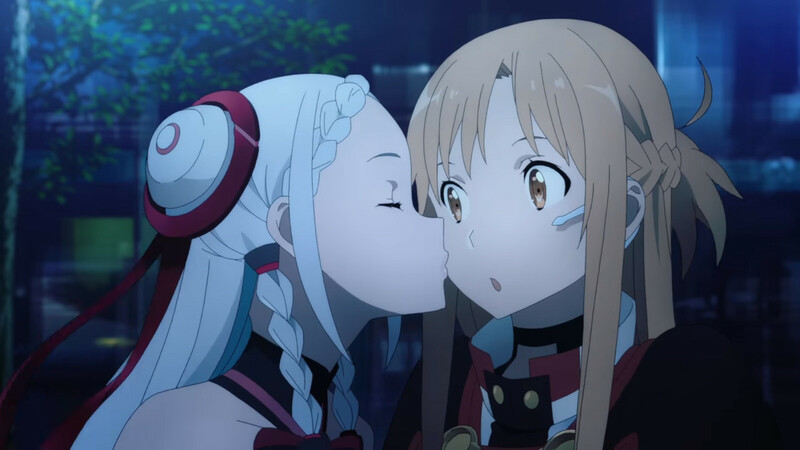 In addition to these points, Kirito and Asuna’s romantic relationship plays a big role in the film’s story. The scenes featuring only Kirito and Asuna really empathized how strong their relationship is at this point in the story. This relationship is a big motivator for the actions Kirito and Asuna take throughout the story. In addition, there were also easter eggs for fans of the series so look out for those. Kirito was not as overpowered as he was in previous arcs as Ordinal Scale requires the use of your actual body. He needed to rely more on his friends in order to achieve victory in battles. All of his friends (Asuna, Sinon, Klein, Lisbeth, Silica, Agil, and Leafa) had a chance to shine throughout the film. So, if you’re not that big of a fan of Kirito, you’ll probably enjoy what transpires during the first boss fight of the film. The animation and music for the film are absolutely stellar. The movements of the characters are very fluid and every fight scene in the film was well animated. The music was well composed and showcased Yuki Kaijura’s talents once again. Each individual soundtrack fit each scene perfectly and helped to convey the seriousness of every fight. Sayaka Kanda (Yuna’s voice actress) has a beautiful voice and all of her songs were sung beautifully. Every time Yuna was about to sing, I knew we would be in for one heck of a fight, and every single fight was either as exciting or even more exciting than the last one. The final boss fight is one of the craziest fights I have ever seen and I will not spoil that for those of you who have not watched the film, I’ll only say, look forward to it. 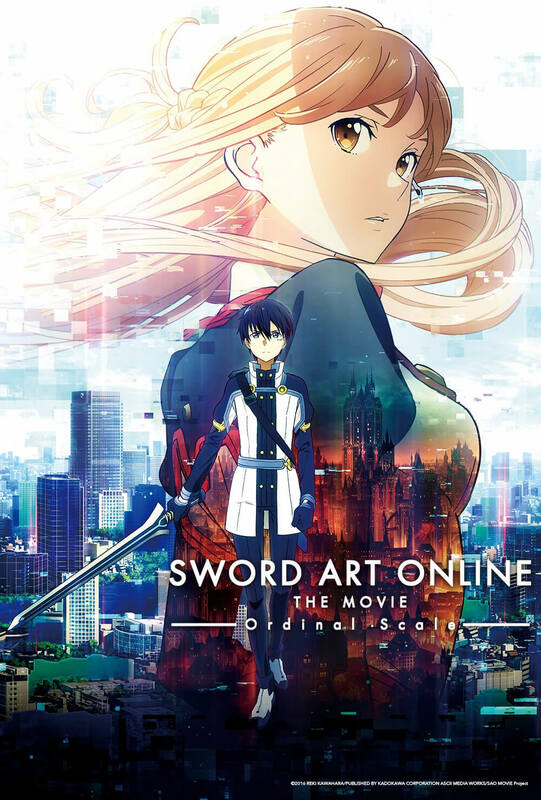 Sword Art Online The Movie: Ordinal Scale is the culmination of all the events that occurred in previous arcs of the series. It has some of the best writing I have seen from the series to date and really shows how much Kawahara has matured as a writer. The animation is incredible and the soundtrack is stellar. In my opinion, this is the best story the Sword Art Online anime has had to date. If you’re a fan of the series, this movie will not let you down and is well worth the price of admission. There are many throwbacks to previous arcs in the series and many of the main characters get a chance to shine. For those who are not fans of the series, I would say to give this film a chance. It’s not only a great entry in the Sword Art Online series but it’s just a good anime film in general.